The Chicago Diamond and Jewelry Exchange only offers diamonds at true cost. True cost refers to the cost that a wholesaler, dealer, or retailer (fine jewelry store) would pay a diamond site holder or another wholesaler or importer for the diamond. This is the absolute lowest price that any consumer could hope to pay for a loose diamond. Our mission: We are Chicago diamond brokers that will facilitate your diamond purchase for cost…diamonds at true cost... period! This is a new, revolutionary way to approach the diamond purchase. If internet retailers owned their own inventory, they certainly could not afford to sell diamonds to you at cost. The Chicago Diamond and Jewelry Exchange owns no inventory, and no costs associated with owning inventory. Most industry professionals have access to the same diamonds for the same costs. We have the knowledge, network contacts and talent to find you the diamond that you need, and for cost ... period! Internet retailers typically charge between 20%-25% over cost for diamonds. 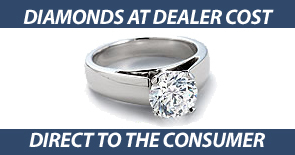 Contact one of our Diamond brokers in Chicago today for diamonds at true cost. 4. Then, call 888-DIA-EXCH to consult and purchase from a certified diamond expert. Luxury and fine diamonds were never so inexpensive. 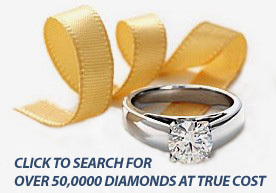 Search through a wholesale diamond database of over 50,000 diamonds or call 1-888-DIA-EXCH. Select from dozens of gold, white gold or platinum and diamond settings in our settings gallery. The Chicago Diamond and Jewelry Exchange sells diamonds and jewelry at our Chicago diamond jewelry store in the Chicago Loop on Jewelers Row Downtown Chicago Illinois at Chicago Jewelry Mall. We're also located in the heart of Gold Coast. We are Chicago Diamond Brokers. We sell diamonds at cost…this is lower than any Chicago Jewelry Store or Private Jeweler can sell a diamond to a consumer. SEO, Social, and Design by Kris Wagner.